Did you watch Netflix’s Chef’s Table? The docuseries interviews six chefs, allowing viewers and foodies like us to get a glimpse into how they got started and what keeps them going. I watched the first episode on Chef Massimo Bottura a few times only because I kept trying to start watching it late at night and ended up falling asleep. ANYWAY! Chef Massimo passionately spoke of his love for Italian food, and how he took traditional dishes and ingredients and modernized them (to some traditionalists’ discontent). 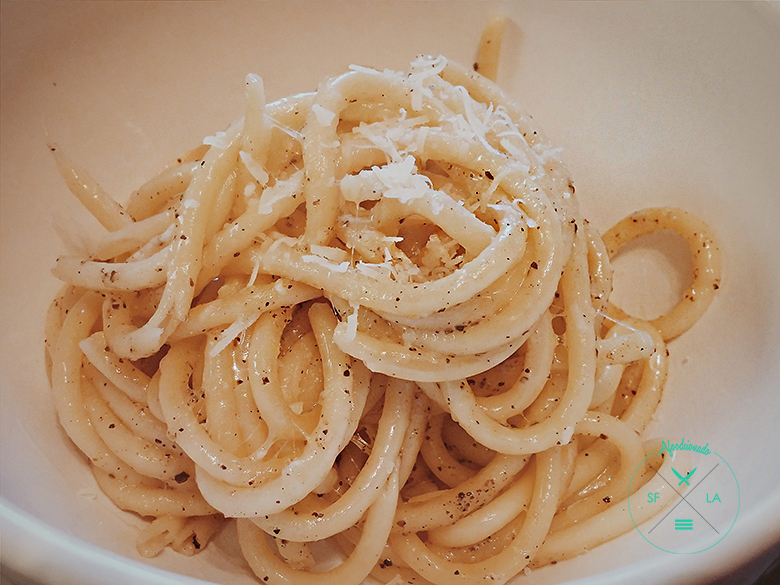 The first dish that he shared was Cacio E Pepe. It was so simple! Pasta, olive oil, cheese, and pepper. I didn’t think much of it, but I was curious. My cousins and I were in New York and found ourselves at Eataly where Cacio E Pepe was on the menu, naturally, we ordered it (and a few other dishes). It was SOOO GOOOD! So simple and SOOOOOOOOOO GOOD. The Cacio E Pepe stuck in my head, and when I got home, I tried to make it. TRY being the key word. I made some mistakes, but I think I know what I did wrong. 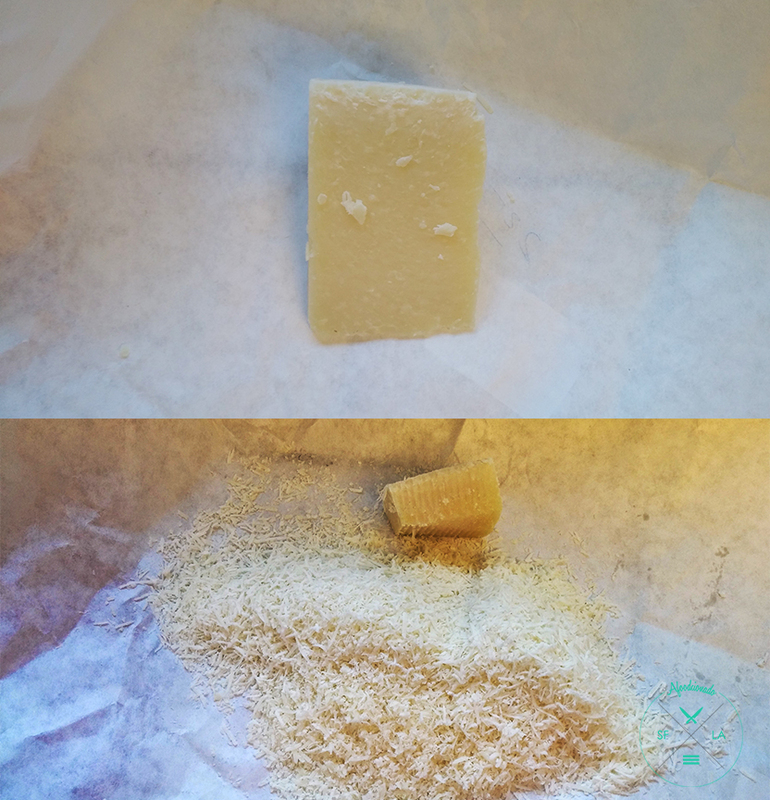 I used the Epicurious Ingredients instead because it was the first recipe I found and the Pecorino and Grana Padano was easier to find, so I went with it. I used Mario Batali’s instructions because it was easier… I’m all about that. I found an Italian market near my place that had the cheese I needed AND some awesome pasta varieties. I know the recipes call for linguine, bucatini, or spaghetti, but you’ll see I used perciatelli which is thick like spaghetti and bucatini but it’s hollow. COOL RIGHT?!? So where I went wrong…after the pasta is cooked and is mixed in the oil/butter you add the cheese. I didn’t turn the heat off when I added the cheese so it kept cooking, melting, and seizing. AGGHHH PAIIIN!!! 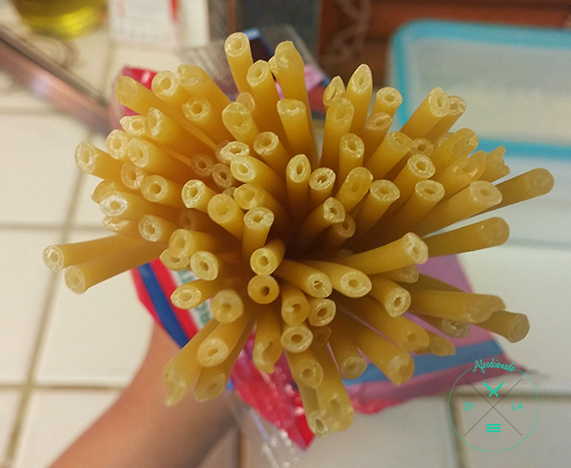 Save the pasta water…I did but forgot to actually use it.